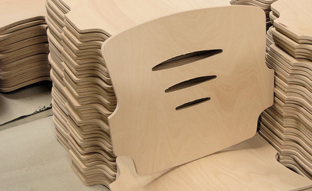 Shaped plywood offers an extensive range for various applications. Its form stability and lightness in weight in combination with its aesthetic quality make it a highly attractive material. Plywood made from renewable raw materials can be disposed of in an environmentally friendly way at the end of its long life cycle – it is carbon neutral even when burned. 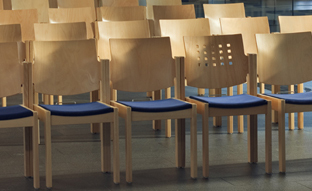 That’s why it is a long-time favourite with the furniture industry, in interior fitting and various other applications. You find all our current standard shaped parts in our catalogue – click on “Catalogue” in the navigation on the right and leaf through our extensive product range.